There's no better way to find out what your snowmobile needs to work perfectly than to go back and read your owner's manual. There, you'll find specific information regarding your snowmobile, including its dos, its don'ts, and plenty more. Read it to get re-acquainted with your vehicle after it's been in storage for a long time. Once again, your snowmobile has been in storage for the better part of a year. This means that it no doubt gathered some dust, filth, and more, even if it was covered and stored properly. Clean it to keep those dirt particles from interfering with its performance. Likewise, check around it (even in the exhaust pipe), to see if any animals made it their home. It is strongly advised that you use a fuel stabilizer in your snowmobile before you put it away. However, if you didn't go through with this recommendation, the fuel in the tank probably went bad, and now it needs to be drained out and replace. Do so to keep your snowmobile running as desired. Additionally, inspect the whole fuel system to ensure it's good to go. You should realize that your snowmobile is a complex and powerful machine. However, for it to stay that way, it needs to be maintained properly. Part of this is replacing its synthetic oil every so often to ensure the engine is lubricated and protected while you're using it. If you don't, it can wear down and malfunction. If your snowmobile is in need of new oil to continue performing good as new, trust in Lifetimeoil in East Bethel to provide the AMSOIL products it needs. Call (612) 819-8835 or visit the online store to place an order on the top performing synthetic snowmobile oil in East Bethel. As mentioned above, your snowmobile should get the necessary maintenance if you want it to provide the rides you want from it. However, there are other fluids you should mind besides the synthetic oil. The coolant, chain case oil, injection oil, and brake fluid should also be in good condition for your snowmobile to work. As stated above, your snowmobile is a complex vehicle. This means that it's essentially the sum of a slew of different parts that come together to give you the fun, thrilling experiences you want from it. For that reason, if you want to continue having good times on your vehicle, check its components (such as the spark plug, filters, skies, shocks, clutch, belt, tracks, and more). A year can take a toll on anything, even if it wasn't in used. That's why, before you head out to the snow, you should check your riding gear (goggles, helmet, gloves, etc.) to verify that it will provide the protection you need from it. As you know, you shouldn't ride without it, in case you get into an accident. 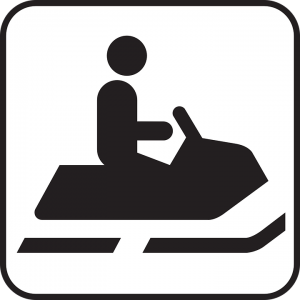 Before you get too excited on your snowmobile, know that it's a good idea to test drive it in a safe place, especially since it's been inert for quite some time. While riding, notice anything off with it and its performance. If you do notice something, have the issue fixed before you start riding as you normally would. As a final tip, and even though you've been inspecting your snowmobile's components on your own, you may want to drop by a professional mechanic so they can have a look at it, too. They'll evaluate the vehicle expertly and repair anything that needs repairing, so you can have safer and more enjoyable rides this winter season. Trust in Lifetimeoil if You Want the Best Synthetic Oil in East Bethel! Lifetimeoil in East Bethel can be the helping hand you need if you're searching for products that will keep your vehicles in the best shape possible. They carry AMSOIL products, which mean you will be feeding and maintaining your vehicle with the best on the market. Call (612) 819-8835 for more information, or visit the online store to place an order on the most effective synthetic snowmobile oil in East Bethel. If what you're looking for are home-based business opportunities in East Bethel, you can also contact Lifetimeoil. They'll help you get started as an independent AMSOIL dealer, so you can gain the financial freedom you desire.